I was feeling like the only YA fantasy fan that hadn’t read Laini Taylor’s much-acclaimed Daughter of Smoke and Bone. I have a lot of thoughts on it – mostly spoilery – but I thought it was alright. There were parts I absolutely loved and parts I hated, but overall I liked it enough to get the second book (see below). A proper review is coming up next week! How to Stop Time has taken me awhile to read, but ended up powering through at a terrifying speed – I went from 34% read to finished in about a day. I really enjoyed this book! It makes you laugh and feel feelings and takes you on a trip through time. I highly recommend it! Gather the Daughters is a physical ARC (!!!) provided by the good people at Tinder Press (see below). It’s very intriguing and creepy and I sense already that things are not what they seem. I’m only about 80 pages in, but I plan to sit down with this book this weekend. Ahh, A Conjuring of Light. The final book in V. E. Schwab’s Shades of Magic series. I started out somewhat skeptical with A Darker Shade of Magic, but recognised the book’s potential. A Gathering of Shadows was a big improvement (review forthcoming, I completely forgot to write it), so I’m looking forward to finishing up the series. I’m not as keen on it as a lot of readers seem to be – it has a lot of problems for me – but I find it very compelling and am looking forward to finishing this book. When my mother and I get together, we are an unstoppable book-buying force. As soon as my family hopped off the train she informed me that she finished her book and needed a new one. We all marched into Waterstones and went a little book-crazy. I am particularly excited about My Best Friend’s Exorcism (look at that cover, I’m dying) and Old Man’s War, a series I’ve wanted to start for ages. Death on the Cherwell makes me smile because when my colleagues and I go punting – THE thing to do in Oxford, apparently – we go out on the Cherwell. This book centers around a body found…in a punt! This book will probably be passed around my department. So apparently my BookBridgr requests all went through at the same time! I was so delighted to come home from holiday and see three packages waiting for me! Gather the Daughters is one of my current reads and is billed as a female dystopia in line with The Handmaid’s Tale. The Vorrh and The Ninth Rain are both science fiction/fantasy novels that I cannot wait to get my hands on. The Vorrh in particular looks intriguing – it has tempted me at the bookshop before. Finally, the lovely people at Floris Books in Edinburgh invited me to be part of the blog tour for the debut novel The Farewell Tour of a Terminal Optimist. I’m really looking forward to reading this, but I just KNOW this book is going to make me cry. I’m a bit torn here. I finished up my ARC of How to Stop Time last night and need something new! I always try to have at least one ARC going alongside my physical books. I was originally thinking of reading The Diabolic first because it looks like in intriguing book I can tear through really quick, but I may actually go with Sea of Rust instead – I mean, just look at that cover. So many books, so little time. This is a LONG post! I could make it longer by chronicling my attempts to create a spreadsheet of all the books in my flat (I’m not kidding, it’s called The Insane Book Mastersheet and it has tabs and filters). But I wont bore you with that (unless you want to see it when it’s done, I’m really proud). What I’ve taken away from this week is that I don’t read fast enough and I need to stop buying/requesting books. That’s it for me! Have you read anything great this week? 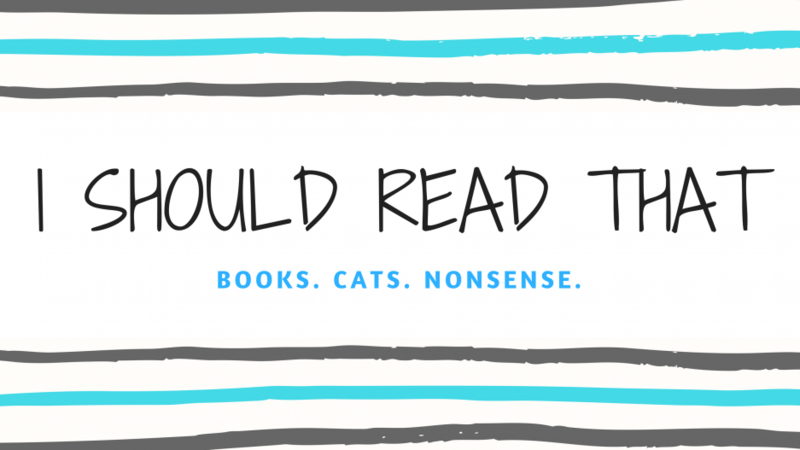 Are any of these on your TBR? Do you want to start a support group for book buyers? Let me know! I have been seeing My Best Friends Exorcism everywhere lately! I need that book in my life! It looks so amazing and hilarious, I can’t wait to read it! PS: OMG YOU’RE STARTING THE DIABOLIC!!! YAAAS! Go in with an open mind, and don’t take anything too seriously. It’s absolutely nuts, but well worth the ride. I’m kind of really excited for this one. I know nothing about it at all (except that it has a great cover). I’m ready for some mental sci-fi! It’s so weird in the best way. I saw the photo of your cat and actually gasped and said out loud “Oh my god, she’s so CUTE!” She looks so sweet! I read the Daughter of Smoke trilogy a few years back and I really enjoyed it at the time. Looking back, though, and having read more books of a similar genre since, I can see the flaws in it. I might have to have a reread, freshen my memory a bit 😀 I hope you enjoy the second book! Thank you! She tries to look fierce, but she’s a big cuddle monster. We are currently fighting because she likes to sleep literally on top of my head at night. I’d be curious to hear what you think after a second read! Sometimes my feelings stay the same, but sometimes they can really dramatically change. I’m looking forward to the second book, I really want to know how she tackles everything she set up in the first. I enjoyed the Shades of Magic series in general, hope you like the 3rd book! It sounds like a lot of people have similar feelings about Daughter of Smoke and Bone! I’m kind of relieved, I really thought I was going to be the odd one out!